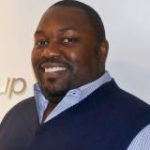 Jelani Rucker serves as VP of Marketing and Business Development for the Zekelman Industries, managing marketing, new business and strategic relationships across the entire Zekelman Industries product portfolio. With more than 15 years of leadership experience in business operations, management, sales and marketing, he has held senior positions at Lucent Technologies, BCI Communications and TESSCO Inc. He received a bachelor’s degree in electrical and computer engineering and a master’s degree in technical management from Johns Hopkins University, Baltimore, Maryland. How important is Logistics in a Manufacturing Environment?